MUSIClassical Directories: Click to View List Entries. musicBOOK: Click to View List Entries. newDVD: Click to View List Entries. New Classical CD: Click to View List Entries. our DVD pick: Click to View List Entries. The Bell Telephone Hour was a musical show which aired on NBC TV from 1959 to 1968. Adapted from the radio series of the same name which ran on the NBC radio network from 1940 to 1958, The Bell Telephone Hour showcased the best in Classical and Broadway music. Bridge is pleased to be re-releasing the late Lorraine Hunt Lieberson’s spectacular recording of John Harbison’s poignant setting of Eugenio Montale poems of memory and loss, Due Libri dei Mottetti di Montale. Originally released on the Archetype label, this work and Harbison’s virtuosic Concerto for Oboe, Clarinet and Strings, will now be restored to the active catalog. One astute critic referred to the Concerto as "scenes from a marriage." This metaphorical marriage between solo winds and strings contains quarrels, precarious balances, comic relief, misunderstandings and eventual unanimity. Combined with Harbison’s Sonata No. 1 and his masterful and popular Mirabai Songs, as sung by Georgine Resick in the version with piano, this disc presents the first in an ongoing series of recordings dedicated to John Harbison’s music. The Piano Sonata No. 1 was written for Robert Shannon, Ursula Oppens, and Alan Feinberg on a consortium commission from the National Endowment for the Arts. It bears the inscription “Roger Sessions In Memoriam.” Dedicatee Robert Shannon gives the score a brilliant and transparent reading. Long regarded as “The Queen of the Theremin,” Clara Rockmore’s virtuosity as the world’s leading exponent of the theremin, was commonly acknowledged during her long and successful career. Intimately involved with Leon Theremin in the development of the instrument, Clara Rockmore’s career as a thereminist had her performing with major orchestras and with her sister, the legendary pianist, Nadia Reisenberg. The Rockmore/Reisenberg duo is heard on this CD in 13 never-before released tracks, recorded in 1975. Also heard here are three tracks with the accompaniment of a cello ensemble, and one with the accompaniment of the much admired Argentine composer/guitarist, Jorge Morel. This recording comes with a booklet which includes numerous historic photographs of the performers, as well as excerpts from an interview conducted by Robert Sherman, in which his mother, Nadia Reisenberg; his aunt, Clara Rockmore; and the electronic pioneer Robert Moog discuss their lives and the background of their involvement with the theremin and its creator, Leon Theremin. The music of Biber is widely assumed to have gone out of vogue with violinists before the middle of the eighteenth century. Biber's reputation, however, lived. In 1789 Charles Burney wrote in his "General History of Music", "of all the violin players of the last century, Biber seems to have been the best, and his solos are the most difficult and most fanciful of any music I have seen of the same period." Biber's Harmonia artificioso-ariosa (1696) is a collection in seven parts (partias), each employing a different tuning. Of the six partias heard on this recording (Nos. 1-6), five are for two violins and bass; and one is for violin, viola and bass. The “artifice” Biber refers to is a procedure now known as scordatura (mistuning). Each of the pieces uses a different tuning in the upper parts. Only the Partia VI is written for violins in normal tuning. The performances on this disc are by the superb baroque ensemble, REBEL. Hailed by the New York Times as "sophisticated and beguiling" and praised by the Los Angeles Times for their " astonishingly vital music-making", the virtuosic New York based ensemble (pronounced re-BEL) has earned an impressive international reputation through their tours and recordings. Rebel can also be heard performing recorder concertos and sonatas of Vivaldi on their highly praised CD, "Shades of Red", BRIDGE 9173. Bridge’s “George Perle: Retrospective” celebrates the music of one of America’s greatest compositional voices with a two-disc set of pieces written between 1957 and 2004. Encompassing solo, chamber, choral and orchestral music, the album presents twelve compositions, including the premiere recordings of six of George Perle’s pieces, and re-issues two major Perle recordings: the Concerto No. 2 for Piano and Orchestra; and the Serenade No. 3 for Piano and Chamber Orchestra. In addition to these major Perle masterpieces, the set includes rarities such as Perle’s lovely arrangement of Two French Christmas Carols from 1958, and his last completed composition, Bassoonmusic of 2004. The recordings are performed by many of Perle’s greatest champions, including Horacio Guttiérrez, Curtis Macomber, Michael Boriskin, Joseph Silverstein, Richard Goode, and Gerard Schwarz, and also includes a short work performed by the composer’s wife, pianist Shirley Perle. Along with more than two-and-a-half hours of music, Bridge’s “George Perle: Retrospective” includes a booklet with historic photographs of George Perle with many of the 20th century’s leading musicians. The beloved American soprano, Judith Bettina is heard on this disc in a highly varied recital of recent American song. Accompanied by her husband, the distinguished pianist James Goldsworthy, the pair present numerous first recordings of songs composed for and dedicated to them. Indeed this disc is a tribute to Ms. Bettina’s long relationships with a stylistically broad range of American composers. Referring to this stylistic breadth, annotator Hayes Biggs writes that “it is possible to view the individual songs as points along a continuum, from those exhibiting a relatively diatonic harmonic language (Christopher Berg, Tobias Picker) to an idiom that at times refers more or less obliquely to tonality but is considerably more chromatic (Chester Biscardi, David Rakowski) to one that is completely chromatic and untethered from tonality (Milton Babbitt, Mel Powell). Despite their differences, however, all of these composers in their unique ways are at root emblematic of a great and continuing lyric tradition in American music.” New York Magazine called Judith Bettina “a sensationally accomplished soprano”, and this disc offer ample evidence of her great gift. Bridge Records is pleased to be releasing Volume 3 of Garrick Ohlsson's Beethoven Sonata cycle, as part of its new Garrick Ohlsson Edition. Beethoven Sonatas, Vol. 3 includes Ohlsson’s readings of four sonatas. Beethoven astonished the music world with his early set of three piano sonatas, Op. 2. Though clearly ‘early Beethoven,’ the C major sonata is a thoroughly mature masterpiece. The relatively short, and highly lyrical Op. 14, No. 1 sonata is an adventurous piece, a work with more than a touch of latent Romanticism. And its companion, Op. 14, No. 2 explores many new avenues of rhythmic development. The Op. 79 Sonata belongs to the group of sonatas where Beethoven was composing with extreme concision. Garrick Ohlsson’s readings of these four sonatas are full of the virtuosity and passion that have marked his recent live performances of these works. This release follows the pianist's Complete Beethoven Sonata cycles at the Tanglewood and Ravinia Festivals this summer, and will precede his Beethoven performances throughout the USA during the 2006-2007 season. Garrick Ohlsson is widely regarded as one of the great virtuosi currently performing on the international concert stage. With an active repertoire of more than 80 concertos, a full schedule of solo recitals and chamber music engagements, Mr. Ohlsson's brilliant music making has graced the world's concert halls ever since he won the 1970 Chopin International Piano Competition. Recorded in 1982, this re-issue of Lambert Orkis’s program of Gottschalk piano works brings back to the catalog one of the landmark recordings of the revival of interest in the great 19th century American composer/virtuoso. Orkis performs on an 1865 Chickering concert grand piano, an instrument similar to the Chickerings that Gottschalk employed on his American concert tours. Gottschalk was born in New Orleans in 1829, the first child of a large, well-to-do Jewish family. His family lived not far from Congo Square (now Louis Armstrong Park), where the music of Afro-Americans–music that would eventually evolve into jazz-- was played. Gottschalk’s virtuoso compositions for piano made significant use of this music, combining it with forms developed in his studies and travels in Europe. Lambert Orkis has received international recognition as chamber musician, interpreter of contemporary music, and performer on period instruments. He has appeared world-wide in recital in North America, Europe, and Asia with violinist Anne-Sophie Mutter since 1988 and with cellist Mstislav Rostropovich since 1983, and continues to perform with The Castle Trio, a period instrument ensemble in residence at Washington’s Smithsonian Institution. ABBA, Benny Andersson and Bjorn Ulvaeus in her own way. (October 3, 2006- New York, NY) This October 10th, Deutsche Grammophon presents Anne Sofie von Otter I Let the Music Speak celebrating the music of ABBA and other songs by Benny Andersson and Bjorn Ulvaeus. I Let the Music Speak was born from Anne Sofie von Otter's passion for the music of Benny Andersson and Bjorn Ulvaeus - a long-standing admiration that dates back more than two decades. Von Otter had just been engaged by the Basle Opera in the early 1980s when she bought ABBA's album The Visitors, and her devotion to Andersson's music took full hold with Kristina från Duvemåla, a musical she went to see again and again (scheduled to premiere in the United States in 2007). When it comes to paying tribute to a composer as prolific and as multi-talented as Andersson, however, it takes more than just passion; it also takes a careful selection process. For more than 40 years, Benny Andersson has been composing music in a wide variety of genres: film, folk music, musicals, and of course ABBA's unbeatable pop hits. We find six of those here, from the up-beat "I Am Just a Girl" (originally written for Jarl Kulle, before the group had taken the name ABBA), the title track "I Let the Music Speak" and "The Winner Takes It All" to the last tune before the group split, "The Day Before You Came." She has also chosen to perform emotional ballads from the Andersson/Ulvaeus musicals Chess (1984) and Kristina från Duvemåla (1995), including "Ut Mot" and "Heaven Help My Heart." Anne Sofie von Otter's motivation behind this project is rooted in her admiration for Andersson's music and in her emotional response to his compositions. "I sing things that I like and that touch me in some way - be it Mozart or Bach or Handel or Monteverdi or Benny Andersson - as long as it means something to me. But the main reason is because I think this music is fantastic. I love it." she has called "a scenic cantata." seems, and how effortless the transitions. spoken about "secret communication codes" between them. about in my own life..."
Eleni's Trojan Women score was composed for the Euripides adaptation by K. X.
Karaindrou's apartment: "Maria really encouraged me to work on composing songs,"
Maria's voice and the voices of the women's choir of the 'Ode of Tears'." at the Sorbonne and the Scuola Cantorum in Paris. Pinter, Chris Marker, Jules Dassin, Margarethe von Trotta and others. Trojan Women, The Weeping Meadow and Elegy of the Uprooting. in the U.S. 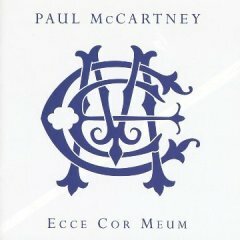 There is a deluxe version which will come out on 10/17 in the U.S.
Ecce Cor Meum through EMI Classics on 26th September 2006.
since his first released in 1991, The Liverpool Oratorio. At the age of 14, American composer Jay Greenberg already has built a substantial and ever-expanding catalogue of original works that explore and renew the traditional forms of classical music, from solo piano pieces and sonatas to full-scale symphonies. He came to the world's attention in part through the sponsorship of Juilliard instructor Samuel Zyman who lauded Greenberg's youthful talent during a CBS News 60 Minutes broadcast on November 28, 2004 "We are talking about a prodigy of the level of the greatest prodigies in history, when it comes to composition." 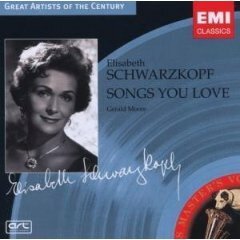 Elisabeth Schwarzkopf, whose luminous soprano voice and searing musical intelligence set standards for postwar singers of lieder and opera, has died. She was 90. Schwarzkopf died peacefully at her home in Schruns, Austria, near the Swiss border, late Wednesday or early Thursday, Austrian state television reported. No cause of death was given.